Rue La La has a $10 credit available for new members! When you sign-up you will get the credit within 48 hours. Rue La La is a daily deal site with deals on clothing, shoes, housewares, travel deals, deals for kids and more. 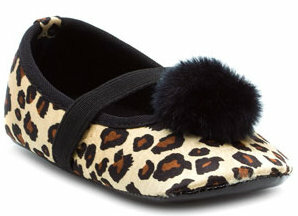 You can get the cute Stuart Weitzman infant shoes above for $5.90 after the credit. Shipping is a flat rate of $9.95 but is FREE for the next 30 days. You must sign up before 8/31 to get the credit and redeem your credit before 9/30.